Yesterday LightSquared and the FCC-mandated Technical Working Group, made up of members from both GPS-dependant industries and LightSquared, submitted final arguments for and against LightSquared’s $7 billion dollar proposal. LightSquared’s network interferes with global positioning system (GPS) signals, according to tests the company and the GPS industry submitted to the FCC yesterday. But that’s where their agreement ends. 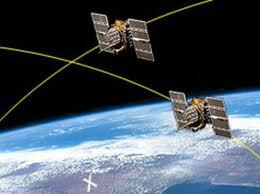 The report says that the LightSquared network still has “potential for widespread GPS system interference” according to a group called the National Executive Committee for Space-Based Positioning, Navigation, and Timing – a federal organization that advises and coordinates among federal agencies that rely on GPS system technology. Other tests showed that wireless signals from LightSquared’s planned network interfered with GPS receivers used by the Coast Guard and NASA and caused Federal Aviation Administration GPS system receivers to stop functioning altogether. Tests conducted by RTCA, a nonprofit group that advises the FAA, found that LightSquared’s use of airwaves closest to the GPS spectrum would cause a “complete loss of GPS receiver function” over large metropolitan areas. he tests – most of which were conducted by various federal agencies at Holloman Air Force Base and White Sands Missile Range in New Mexico in April – also caused GPS system receivers used by New Mexico state police and by fire and ambulance crews to lose reception. Despite the challenges, LightSquared is still planning to start building its wireless network soon, despite a regulatory approval process that has sparked vehement opposition from GPS vendors and won’t be over until at least the middle of August. In early June, the company acknowledged that its initial network plan interfered with GPS system signals, such as those used in cars, on boats, and by the U.S. Department of Defense. But the company said its new proposal will get its satellite-based mobile broadband network to work without knocking out GPS system receivers. The GPS industry disagrees. In a briefing with reporters, executives for GPS companies such as Trimble Navigation (NASDAQ: TRMB) and Garmin Ltd (NASDAQ: GRMN), along with representatives from the aviation industry, were adamant that LightSquared’s plan would not work. Members of the Coalition to Save Our GPS said the revised proposal would lead to a “complete loss of GPS function” and should be abandoned. Immediately after submission, members of the Coalition to Save Our GPS held a press conference to make their argument loud and clear. Kirkland also sounded skeptical of LightSquared’s new proposal because the first one failed countless tests conducted by government agencies and industry bodies. “LightSquared thought that idea was going to work…this raises serious issues as to LightSquared’s credibility and technical acumen,” he said. “There is no existing technology that solves this interference, only unproven claims of hypotehtical future fixes,” said Jim Kirkland, vice president of GPS firm Trimble. Now the fate of America’s first wholesale cell phone network, and official partners is in the hands of the FCC. The timing is uncanny as the federal agency simultaneously considers a billion-dollar merger between AT&T (NYSE: T) and T-Mobile.